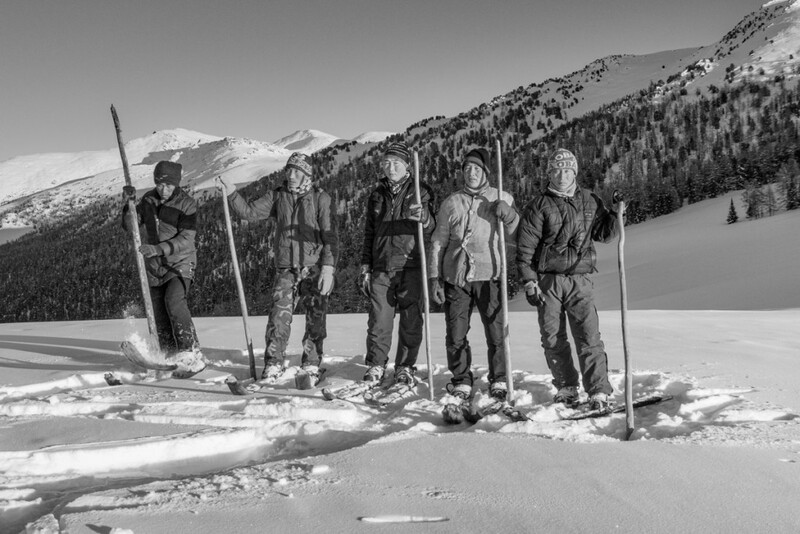 Skishoe is our descriptive name for the short wide skis we at Altai Skis call the Hoks. Skishoes are in fact skis, but not skis as we know them today. Skishoes are in many ways from another time, when skis were utilitarian in nature and an essential tool for winter survival. Skishoes are designed to get around in snow, efficiently, quickly and, as a bonus – they are FUN. Traditional skiers in the Altai Mountains – the original skishoes! 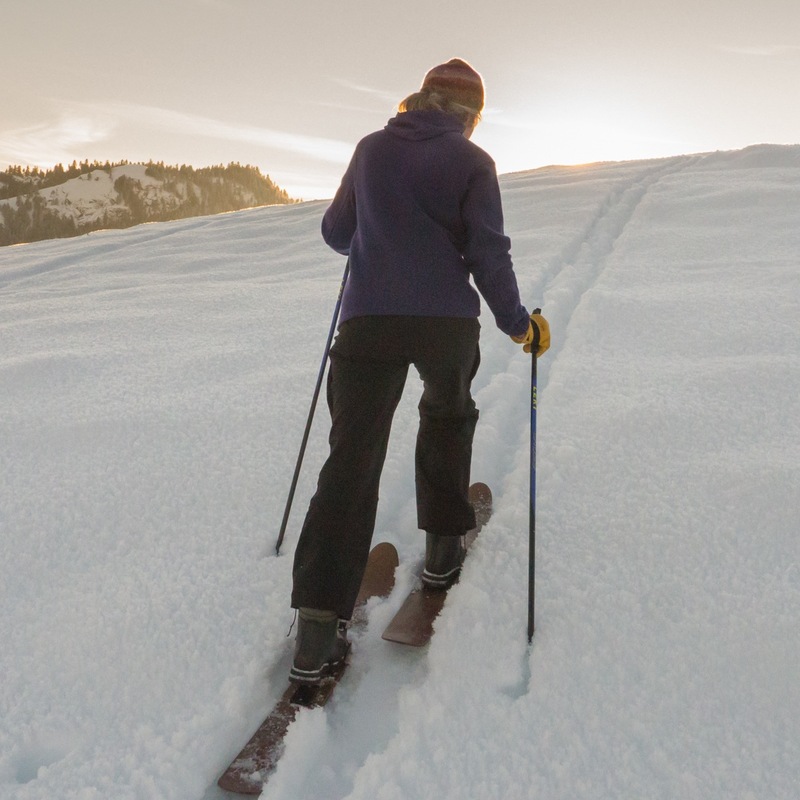 Skishoes combine qualities from both skis and snowshoes , and include a number of features that set them apart from modern cross country skis, backcountry skis, and snowshoes. Here’s a short list of some of these qualities. – Skishoes are easy to use and don’t require a lot of specialized ( as in – expensive) gear. – If you are fortunate enough to live in snow country, the simplicity of skishoes make them ideal to step out, click in, and go. – Skishoes short wide footprint makes them very maneuverable in thick forest, brush, or tight terrain. – Skishoes short length, high tip and forward mount make them ideally suited for breaking trail in deep snow. – They climb and descend with ease, removing the separation between the up and the down found in modern backcountry gear. 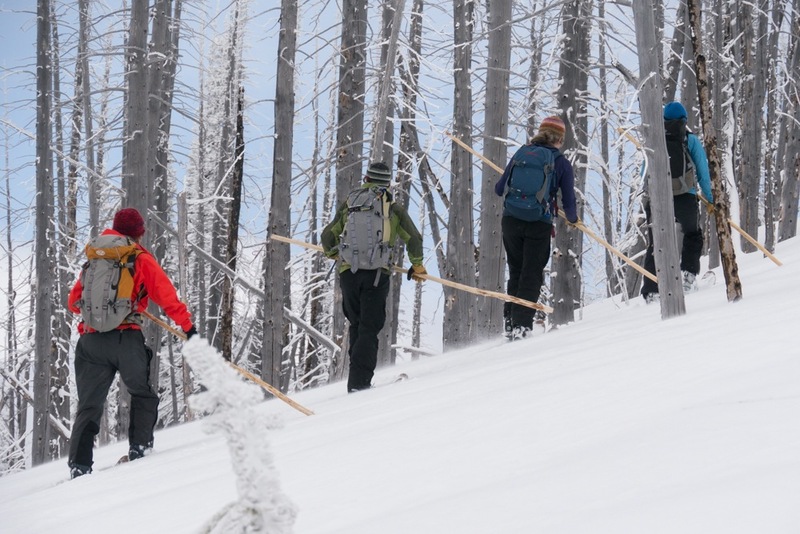 They make winter exploration easy and fun. 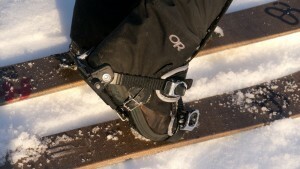 Skishoes can be used with a variety of bindings and boots, from 3 pin, to nordic system bindings, to tele bindings. The most commonly used is a universal binding which fits most flexible soled shoes, so you can use winter boots, hiking boots, or whatever you have handy. 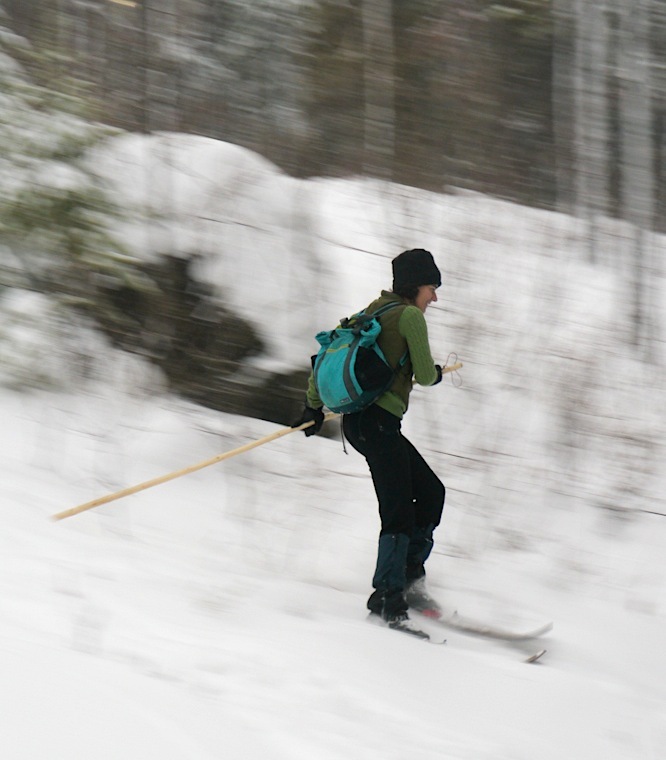 You can use regular ski poles – crosscountry, alpine, or snowshoe – or you can try the single pole style (the Tiak), something pretty much all skiers used prior to the early 1900’s. 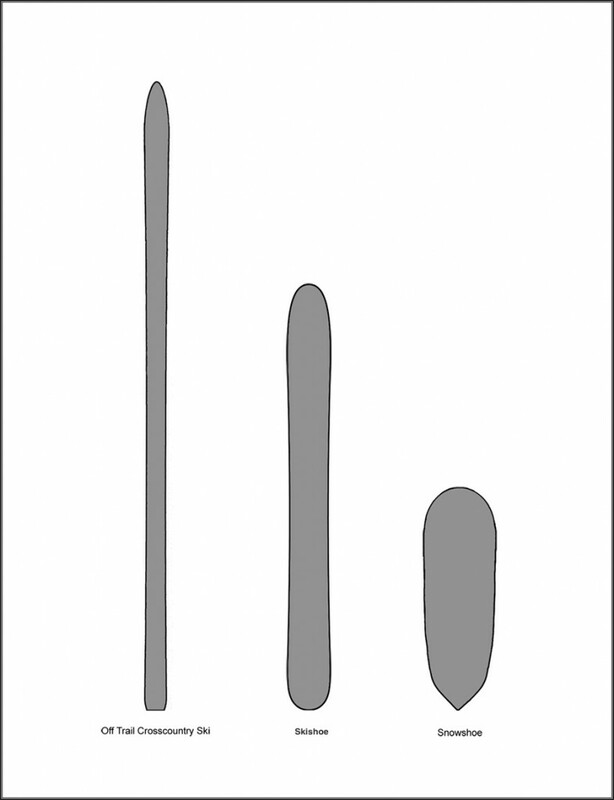 The single pole is particularly great on the downhills, the excellent fore/aft stability gained with the Tiak is especially well suited for the shorter Hok skis, further simplifying an already simple setup. The pole acts as a third leg in a tripod and gives the user a simple and easy way to balance while traveling. 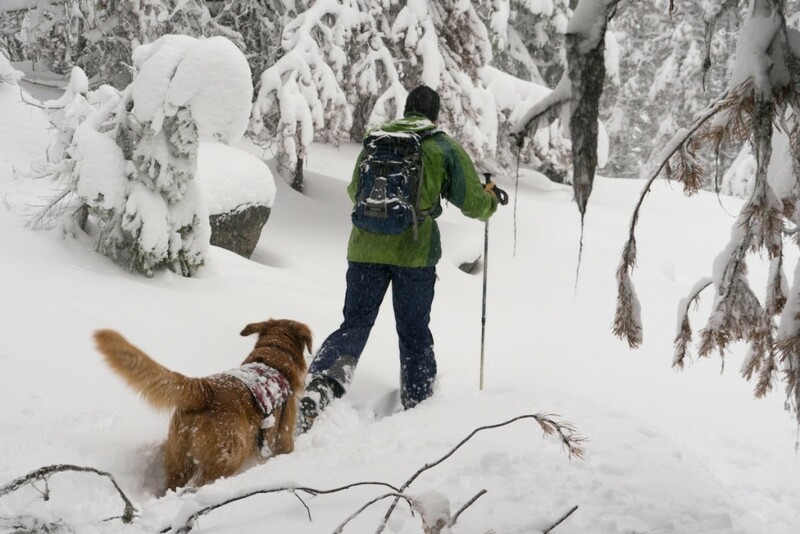 Skishoes make winter exploration; from simple backyard outings, to multi-day adventures in the winter wilderness, easy, accessible, and affordable.